There are advice books for grandparents. There are books of activities for grandparents to do with grandchildren. There are first-person grandparenting accounts. 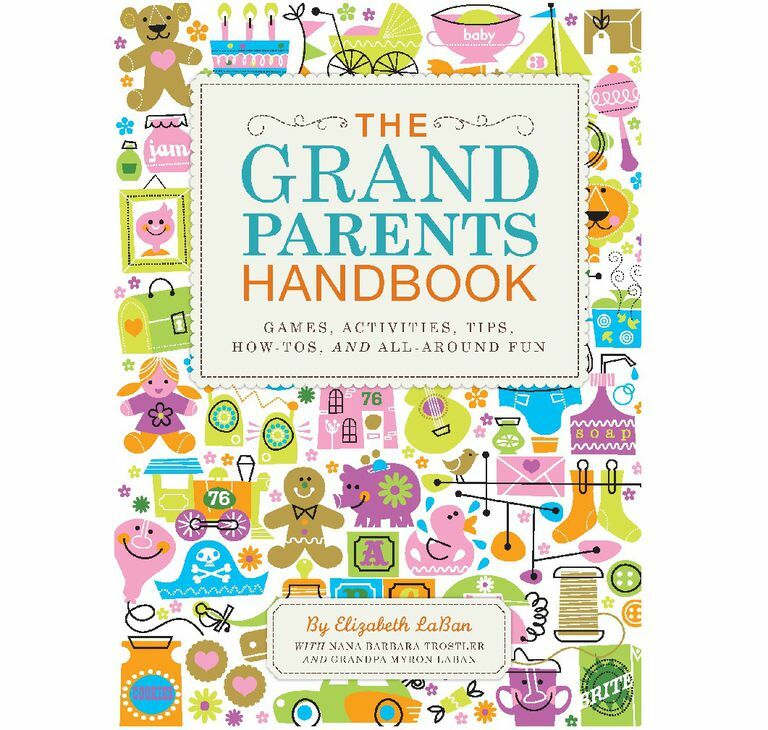 The Grandparents Handbook is three or more books in one, as it fits all of these descriptions and throws in a few extra flourishes as well. Written with care and verve, The Grandparents Handbook will be a welcome addition to your shelf of books for grandparents. The design of The Grandparents Handbook is a little like a cookbook. Instead of recipes for food, however, it contains advice for grandparents who want to cook up some fun, with pages of "Grandparent Wisdom" interspersed throughout. The book is organized into four major sections. This first section updates grandparents on diapering, safe sleeping, baby medications and other aspects of child care that may have changed since we were parents. It also reminds grandparents of some classic games and nursery rhymes and gives advice on tantrums, time-outs and sibling tussles. This section contains a few ho-hum suggestions: Play the Quiet Game with grandchildren while in the car on a road trip? Good luck with that. Have an indoor scavenger hunt?. It could take days to put things back together. On the other hand, many activities seem doable, such as holding a Backyard Olympics, playing Pirate for a Day and creating Fairy and Goblin Gardens. The third section is similarly a mixed bag. Making a quilt with grandkids may be an unrealistic project for most grandparents. Creating a family newspaper seems a tad too retro in this age of Facebook. The recipes, however, tend to be simple and loaded with kid appeal. I also like the idea of creating a diorama in a shoebox. We used to do something similar for school projects, and it was always great fun. The fourth section contains predictable but useful tips for making zoo trips and museum visits, dining out and visiting a grandchild's classroom. Then there are the less predictable pages: pulling off a visit from the tooth fairy and opening up a bank account for a grandchild. One section that had me nodding in agreement was a listing of Yellow Light Activities. These are activities that look like great fun but that should be approached with caution, unless you are a athlete in perpetual training. These include rowboats, paddleboats and boardwalk surreys. I've observed many a grandparent and quite a few parents looking as though they wished they had never laid eyes on those contraptions. If you are looking for the orderly, comprehensive book that the title suggests, you may have come to the wrong place. The book doesn't claim to be comprehensive, and the activities that are its main attraction are not organized according to age-appropriateness. In the defense of the authors, most of the games are either appropriate for a wide age span or can be easily adapted for different ages. And the book's somewhat random nature is one of its major charms.